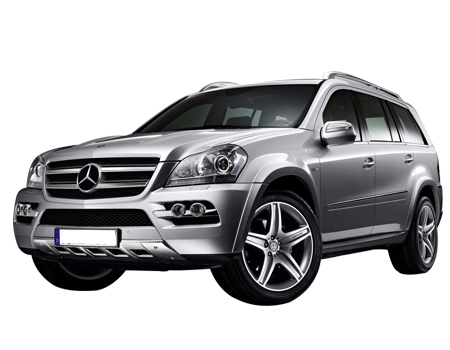 The renowned German auto-giant, Mercedes gifts the world with its another ravishing heir, titled as Mercedes-Benz GL-Class. The car is a full-size luxury crossover SUV that took its first breath in the auto world in the year 2006. The car is specifically a 7-seater crossover SUV that slots above its M-Class sibling and is the flagship model of the Mercedes-Benz SUV line. The car shares the same unibody architecture with the M-Class and entered in its second generation since 2012. Robustness and sophistication both displayed in right proportions in the impeccably styled exteriors of the car. The expressive front grille and the sharp Bi-Xenon headlamps forms the centre of attraction of the front face. The sporty rear design is a conduct of the functional rear spoiler and the new two piece rearlamps with LED fiber-optic cable. The wide and authoritative design of the SUV is crafted upon the dimensions reading - 5120mm x 1943mm x 1850mm (L x W x H) and a stable wheel-base of 3075mm. The car has a competitive ground clearance of 215.9mm. What to opt for: The athletic and dynamic SUV must be considered for an overall exterior parts cover along with the expensive added accessories. Convenience and ergonomics shakes hands to display the delightful sense of comfort. The cockpit displays ergonomics in the form of the 7-inch in-dash LCD display and the precisely-responsive multi-functional steering wheel. Comfort is described by the well-cushioned supportive seats and the 3-zone Thermotronic automatic climate control system. The electric panoramic sunroof and the Harmon Kardon Logic 7 multi-channel surround-sound audio system crafts the pleasurable interior ambience. A cargo space of 390 litres is dedicated towards the luggage storage. What to opt for: With profound interior technology the SUV also features a fully-functional list of safety features (ESC, ASR, ABS, immobilizer, etc.) for which the driver and front seat passenger cover must be opted. Along with this, the rear passenger cover may also be opted for.